North Carolina’s State Parks set an attendance record in 2015, welcoming 17.3 million visitors to the state’s 41 parks and recreational areas, an increase of 1.7 million from 2014. 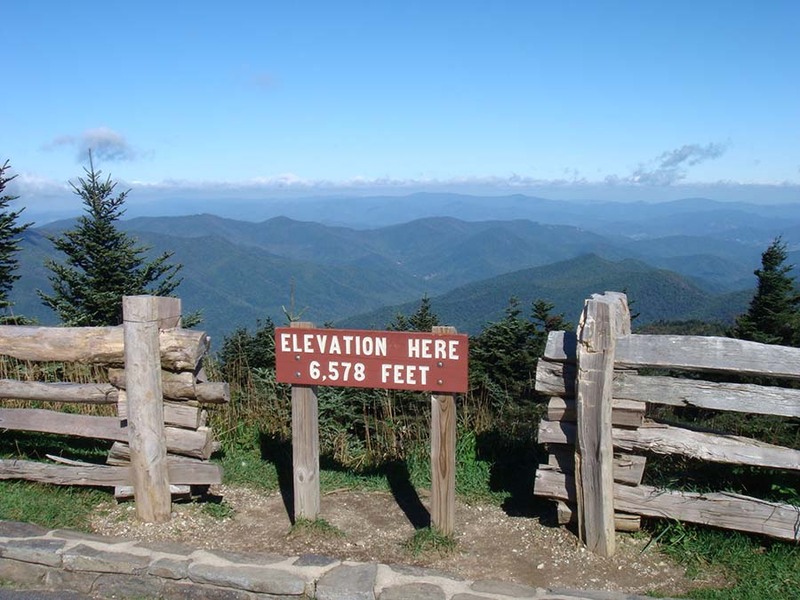 Mount Mitchell State Park is the highest point east of the Mississippi. The attendance figure is expected to grow again in 2016, when the state’s park system celebrates a centennial of providing history, outdoor recreation and education to visitors. In March 1915, after a group of citizens urged the government to protect the Summit of Mount Mitchell (the highest peak in the eastern U.S. at 6,684 feet above Yancey County) the N.C. General Assembly authorized Mount Mitchell as the first North Carolina State Park. With the property acquired by the state in 1916, the first state parks system in the nation began. This year, North Carolina celebrates 100 years of state parks growth, from 525 acres on Mount Mitchell to more than 228,000 acres across the state today. Visitors travel through the gates of these parks to learn more about an area’s bio-diversity, history and culture, escape into wilderness, grab a picnic under a tree, paddle the waterways, hike various levels of trails, follow the footprints of critters and breathe in the smells of the surrounding flora. The 22nd annual Burnsville Metric takes place on the scenic roads of Yancey and Mitchell counties. This event is near Asheville, NC and Johnson City, TN off I-26. and is 60.7 miles long with three well-supplied rest stops. Registration and packet pick-up: Burnsville Town Center, 7:15 a.m.-8:45 a.m. Ride begins 9 a.m. Nu Wray Inn will provide a post-race barbecue meal. It is incredibly beautiful at the moment, the flowers and trees are blooming and the weather is great…Come and see us…North Carolina in the Spring is the best. It is beautiful here, the sun is shining on the fallen snow, and it is melting. It was 10 degrees this morning, but warm as toast inside. It it supposed to warm up today and the snow gone by early this week. We will have about 400-500 Trick or Treators at the Terrell House on Sat, so come and have a look, or come and stay and help…. In Burnsville, both the only town and county seat of Yancey County, you won’t find a lot of the things that often come to wealthier places: high-rise buildings, avenues of McMansions, traffic and the noise of honking horns. What you will find in this small, mountain town and its surrounding area are great riches in nature and art. Indeed, Yancey County is the most mountainous county in North Carolina, having within its boundaries five of the highest peaks in eastern America, including Mount Mitchell which, at 6,684 feet, is the highest point east of the Mississippi. Amid these peaks are diverse forests, nationally protected land, small communities and a population that is thick with artists. You can’t roam far without encountering an artist, piece of public art, mural, artist studio or gallery. Scattered around the county, you will see the works of woodworkers, glassblowers, potters, metalsmiths, weavers, quilters, basket makers, painters, sculptors, papermakers, photographers and more. Everywhere you look there is nature inspiring art. Visitors will delight in the local area galleries such as the downtown Burnsville Toe River Arts Council Gallery. Stop in at One of a Kind Art Gallery in nearby Micaville. Call ahead to visit artists in their studios/galleries. Many of them, including, Claudia Dunaway, a potter, John Richards, a mixed-media artist, at Yummy Mud Puddle as well as Rob Levin, a glassblower, welcome visitors to enjoy a behind-the-scenes look and see their work. Mike and Laura Hoskins put a lot of class into making guests feel wel­come at their plush and comfy bed­ and breakfast_ Mike Hoskins is also never tardy in sharing history: The Terrell House was a dormitory in the early 1900s for the Stanley McCormick School, a place where young ladies came to live in the small, mountain town of Burnsville, North Carolina. In 1927, the Stanley McCormick School became the Carolina New College. Soon after that switch, the college closed during the Great Depression in 1931. Later, what one school bulletin had advertised as a “Cottage for Young Women” became a private home. Ultimately, this 4,500-square­foot structure was converted by 1991 into a six-room bed and­ breakfast by former owners John and Pat Terrell. Restaurant for Recess: Terrell House breakfasts boast such fare as pancakes with blueberries plus plenty of coffee. You can also sample salads, sand­wiches, soups and specials like crab cakes or “Bourbon Sirloin” at the Garden Deli (828-682-3946) on Burnsville’s town square.